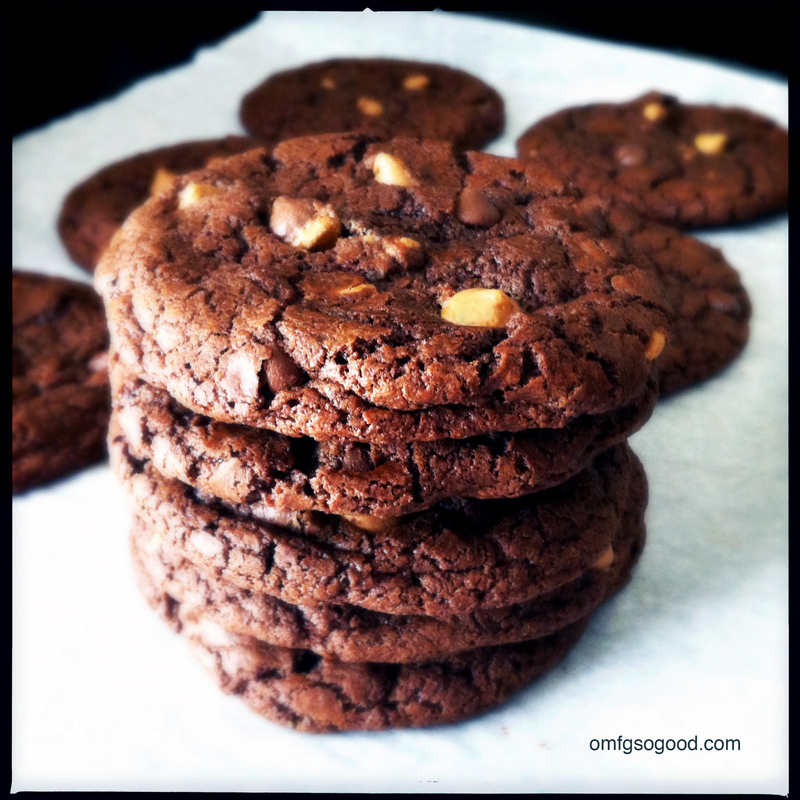 double chocolate double peanut butter cookies | omfg. so good. Now that poor teething Chonker is hunkered down in his crib, more than likely sleeping with his knees tucked in and booty in the air, I can focus on giving you one of the best cookie recipes in my entire arsenal. 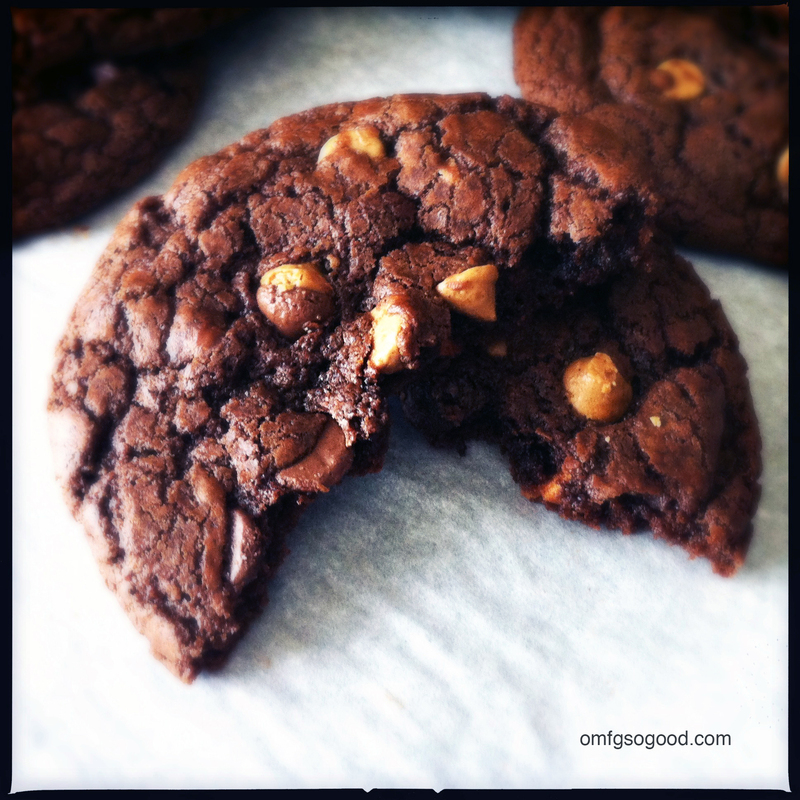 This is actually an adaption of Martha Stewart’s recipe for Double-Chocolate Chunk Cookies, which is to-die-for in it’s ‘untinkered with’ state. But seriously, who can deny a little double peanut butter action? Preheat oven to 325 degrees. Line a sheet pan with parchment paper and set aside. Whisk together flour, cocoa powder, baking soda and salt in a bowl. In a glass bowl or measuring cup, microwave 4 oz of the chocolate with the butter and peanut butter for 30 seconds. Remove and stir to melt completely then set aside to cool. In a medium mixing bowl, combine the chocolate mixture, sugar, eggs and vanilla then mix on medium speed until blended and gradually add in the dry ingredients. 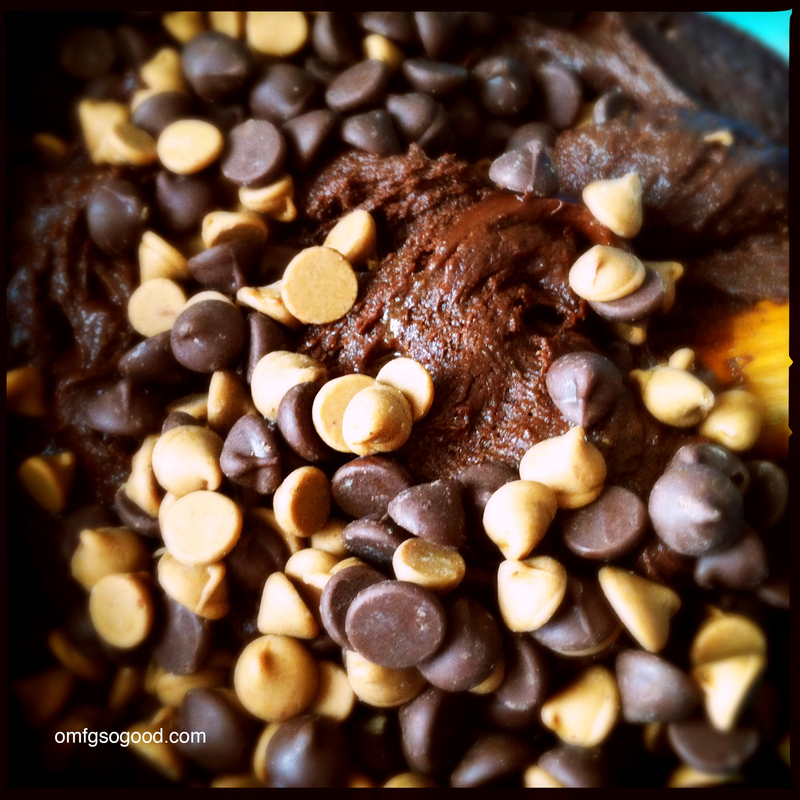 Fold in the remaining chocolate chips and peanut butter chips. Resist the temptation to just eat it now with a spoon… Or don’t resist. Ultimately it’s your call. Bake until the cookies are flat and the surface begins to crack (12 – 15 minutes). The cookies should still be soft and a bit undercooked. Let them cool on the pan for just a few minutes then transfer to wire racks to cool completely. If they make it that long. Not gonna lie, I ate a few while they were still warm. I may have even scorched a few taste-buds in the process. I don’t regret that decision. Not even one tiny, little bit. those cookies are making my mouth water! peanut butter has the magical ability to make even the most amazing things even better, gotta love it! I just made this recipe up for my boss. His birthday is tomorrow and he loves chocolate and PB and so every year I bake him something different with those flavors. 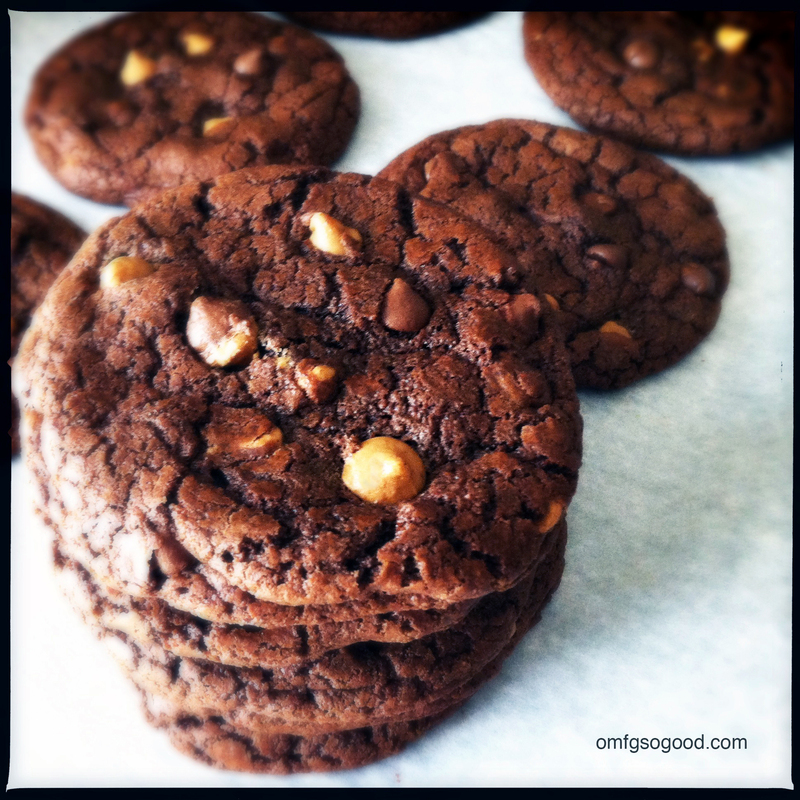 I got 3 1/4 dozen out of my recipe….I did use a cookie scoop though, so they were all pretty much the same size. LOL My fiance tested them and deemed them too yummy and i should leave them with him instead. Thank you for a wonderful recipe!! 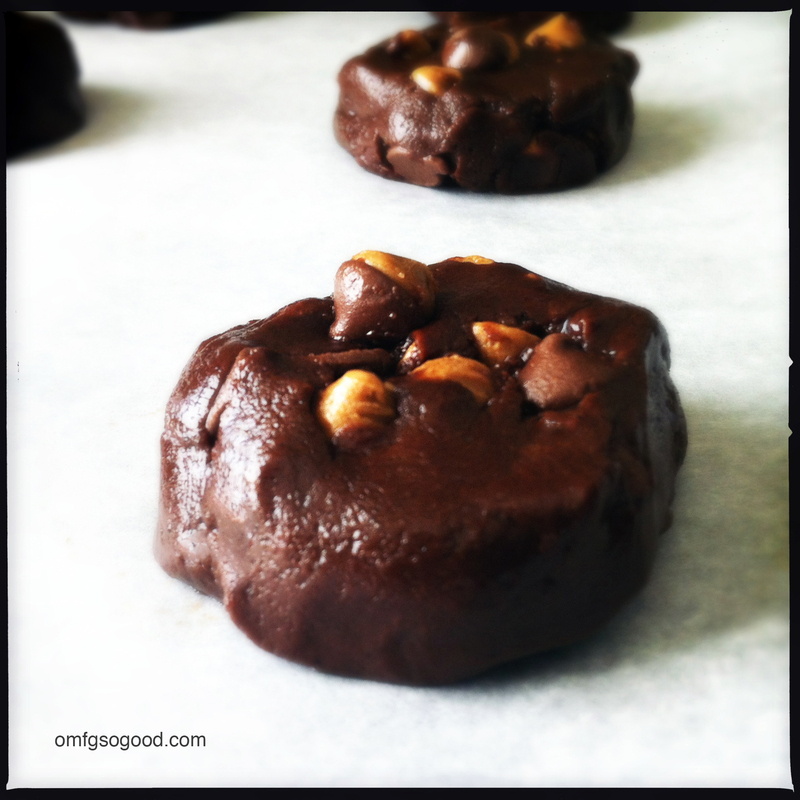 Pingback: National Peanut Board » Celebrating Chocolate Month the Peanutty Way!